As a mom who travels a lot with my children and loves to go to the beach, this would be amazing! I remember traveling to friend’s houses or to my parents and not having a place for my baby at the given time! 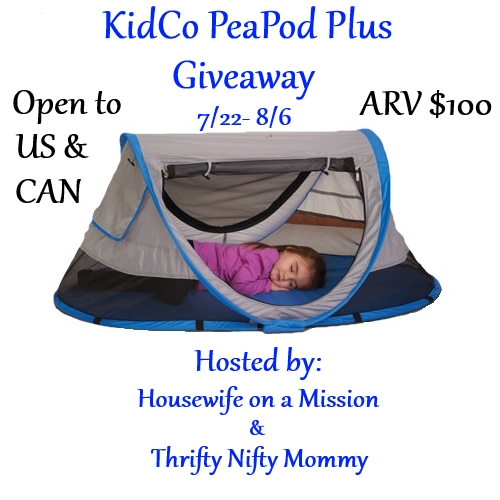 Disclosure: Housewife on a Mission received the KidCo PeaPod Plus at no cost in exchange for her honest opinion. I have not received any compensation for hosting this giveaway. The participating bloggers are not responsible for prize fulfillment.